Corey was born and raised in Wardsville, MO (just south of Jefferson City). He attended St Stanislaus for elementary school and then moved on to Blair Oaks for high school. Shortly after high school, he went off to basic training in the Army. After being stationed in Korea, Kansas, etc, he decided to hang up his boots and move back to his hometown. His parents, Albert and Doris Toebben, owned two separate recycling centers in the Jefferson City area. Doris ran New World for mainly household products and Albert owned and operated Scrap-All in Holts Summit for larger quantities of metals and scrap steel. Corey, trained as a mechanic in the Army, went to work at McKnight Tire and then on to Al Scheppers. But, his heart was set on owning his own business. Then came marriage…Kim was born in a small town outside of Kansas City but her family migrated to Jefferson City when she was in elementary school. She was very active in anything and everything she could get her hands on. After graduation from Jefferson City High School, she attended college in Springfield at MSU. After receiving her degree in Political Science, Public Administration and Communications, she came back to her hometown to start a career. She started working at the State Treasurer’s Office in 2002 and has been there ever since. In 2004, shortly after getting married, the two decided to buy the family business. 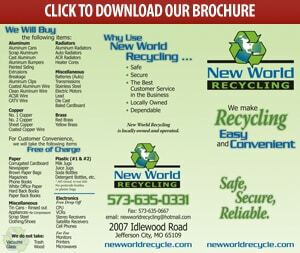 And so, here we are 8 years later with 2 locations, a mobile shred truck and a host of recycling mishaps. At home in Wardsville, the two are blessed with raising three children: Ethan, Laney and Emerson. 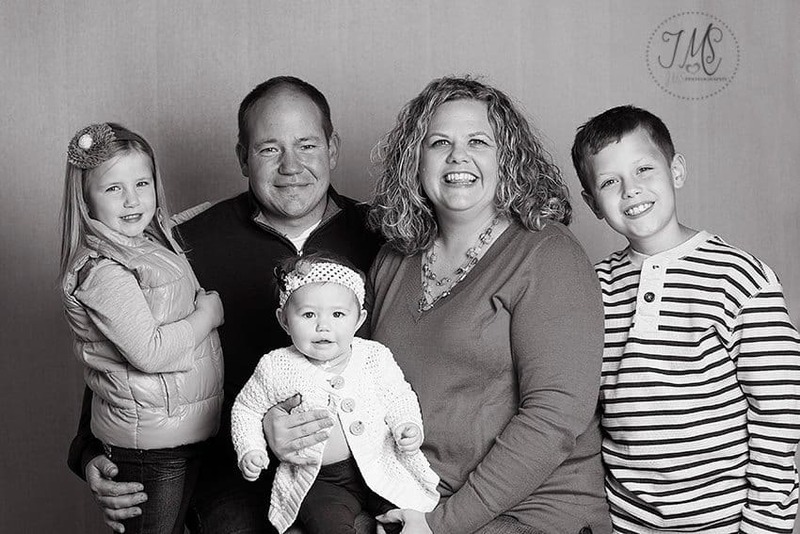 Coming from two very German (Catholic and Lutheran) families, Corey and Kim are committed to raising their family in a good home and running a clean and friendly business – one that everyone in the family can be proud of for years to come. Outside of work, Corey recently received his college degree in Business with an emphasis in Management and Human Resources. Between sports practices, swimming lessons, school programs, etc, they also spend a great deal of time fundraising for the March of Dimes in honor of their twin daughters, Ava and Lexi, who lost their battle with prematurity in 2007. Community – in every sense of the word – means a great deal to Corey and Kim. They are very grateful for the loyalty of their customers and hope to continue to serve the Mid-Missouri area for many years to come.